For a while now, I've been dreaming about starting my own little knitting pattern company, a today that little dream just got a little more real. This is SandDune, my first Ms. Cleaver Creation. 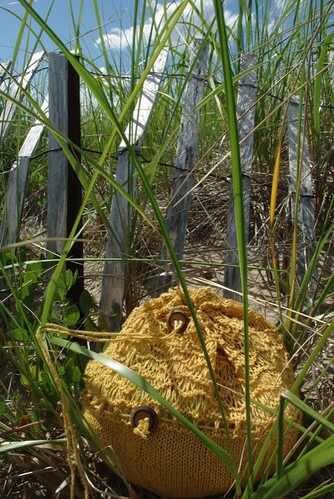 Inspired by my favorite Maine beach, SandDune is a lacy self-storing bag, perfect for gathering together your favorite items for those days by the shore that are fast approaching. Though it's cool and rainy in Portland today, I know before too long, it'll be time to head out to the ocean. 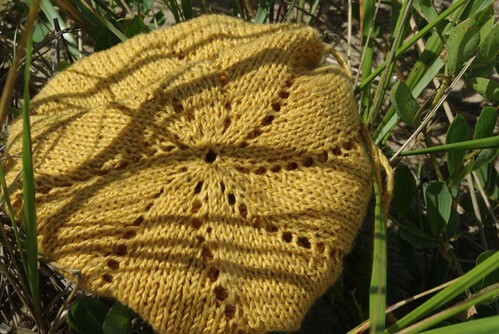 Knit from a about 200 yards of Elsebeth Lavold Hempathy in Sunflower #14, the bag is both study and airy. 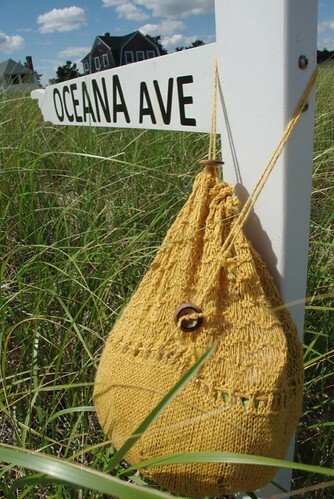 The hemp gives the bag a beautiful earthy look. 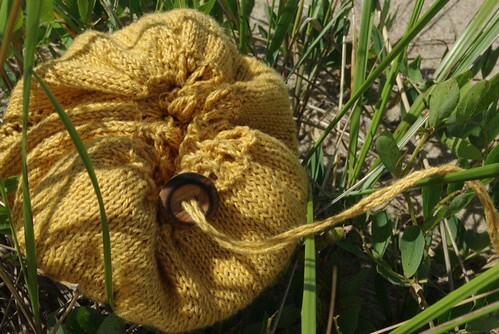 Knit in the round, the bag is a quick and satisfying knit. I'm very proud of this pattern and am happy to say this is the first of many designs on my pipeline and there'll be more surprises in the weeks and months and years to come!